Coatings for Agricultural, Construction and Earthmoving equipment (ACE) are one of the most demanding segments as they require great performance and durability. 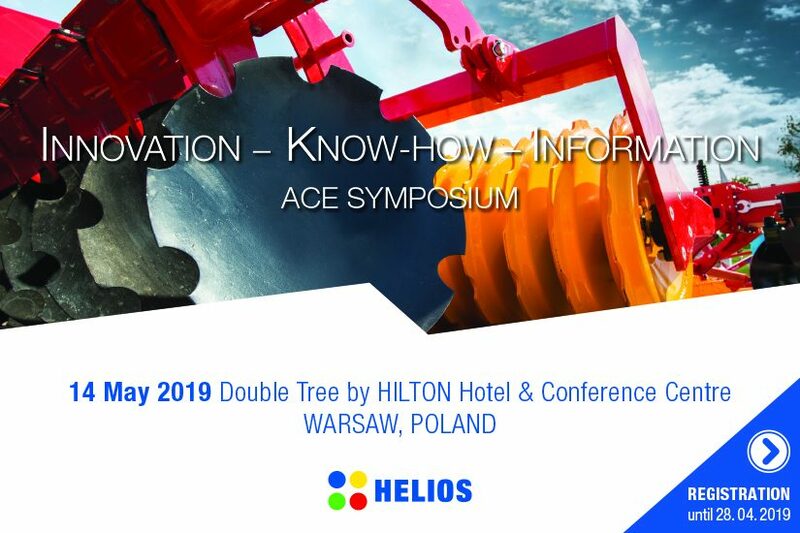 That is why Helios Polska cordially invites you to the next IKI ACE SYMPOSIUM, where you will get the latest insights of the field of ACE coatings. The event will take place on May 14, 2019 in Double Tree by HILTON Hotel & Conference Centre in Warsaw, Poland. You can register via email: konferencja@heliospolska.pl. The deadline for registration is April 24, 2019. The event is free of charge. We are looking forward to welcoming you to this top industry platform.